Editorials from Theslowlane: Quantitative de eseasing? If quantitative easing means putting more money into circulation, what is the opposite? Quantitative De easing or how about diseasing? Taking money out of circulation. 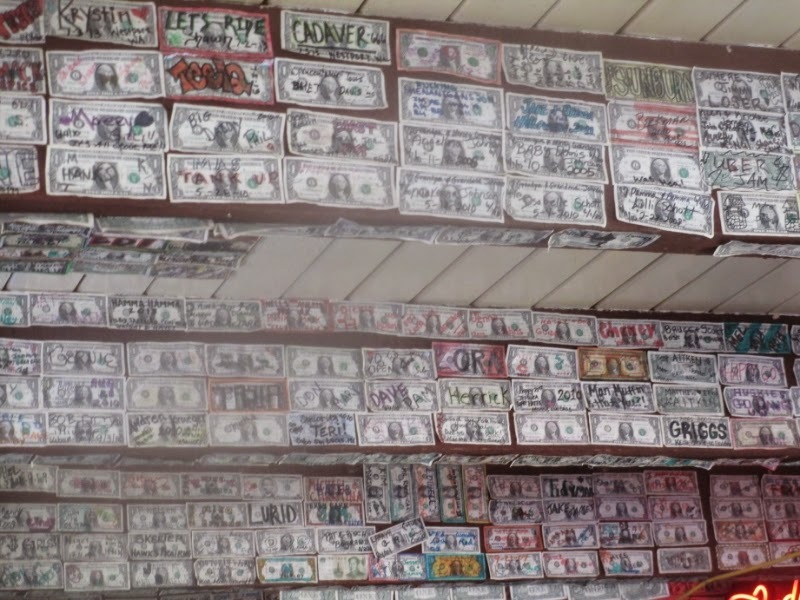 On my bike trip from Bellingham to Eugene, I stopped in this bar in south west Washington where customers take money out of circulation, write on it and paste it to the ceiling. It's art. Hundreds of dollars worth. Also good food served there. Must be a common practice. 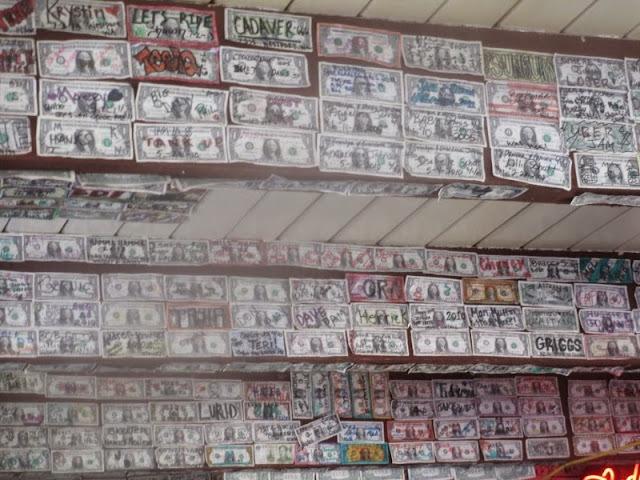 Dollar behind the bar, only this is lots of money. See also: Quantitative Easing Versus Moores Law.